Every year for their birthday, I give my nieces and nephews the gift of time. 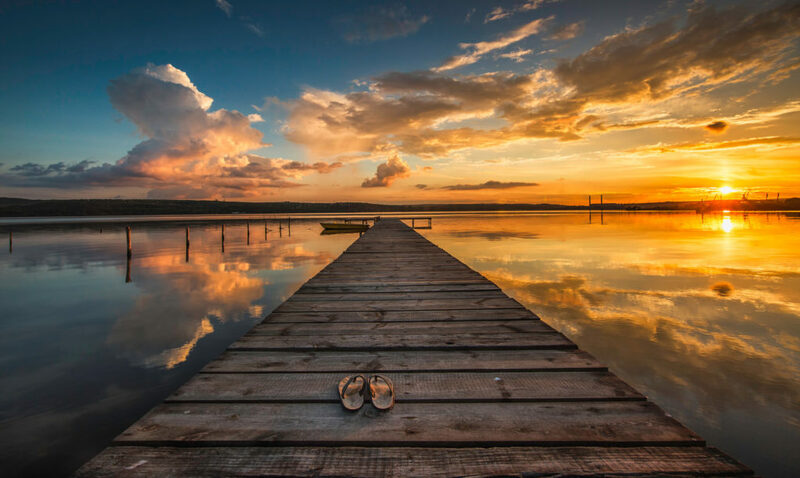 My wife and I want to be invested in their lives, and we feel like giving them another truck isn’t going make that happen as much as giving them time will. This year we were trying to think of something fun to do between homemade pizzas and a movie. We remembered a super simple idea that gave them the chance to be creative, gave them a keepsake, and didn’t involve making any mess at all. 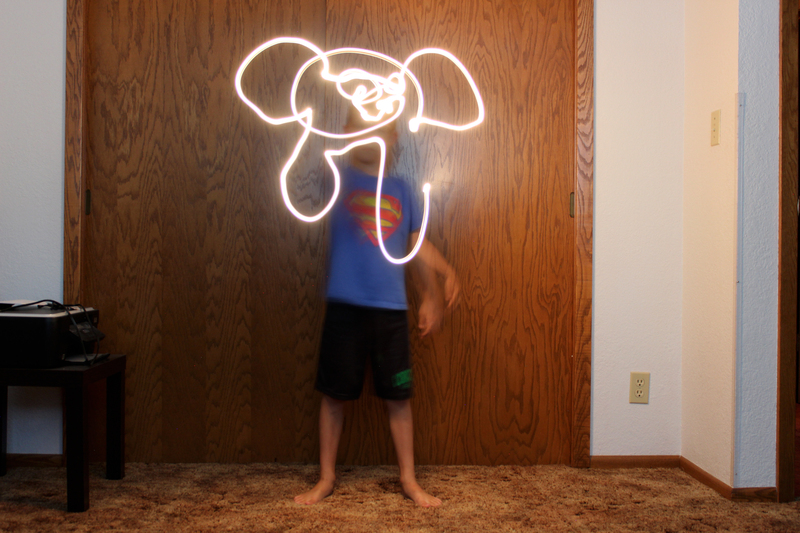 We taught them how to make light paintings. 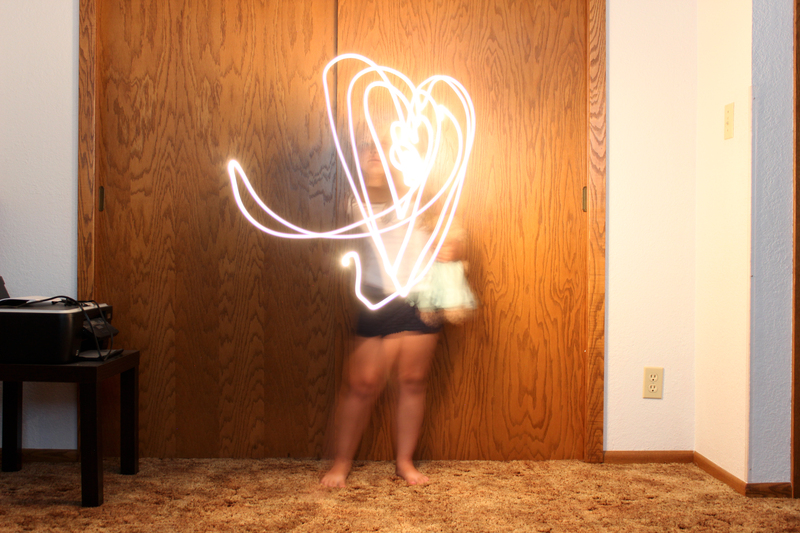 All you need is a flashlight, a dim room, and a camera that you can adjust the shutter speed. 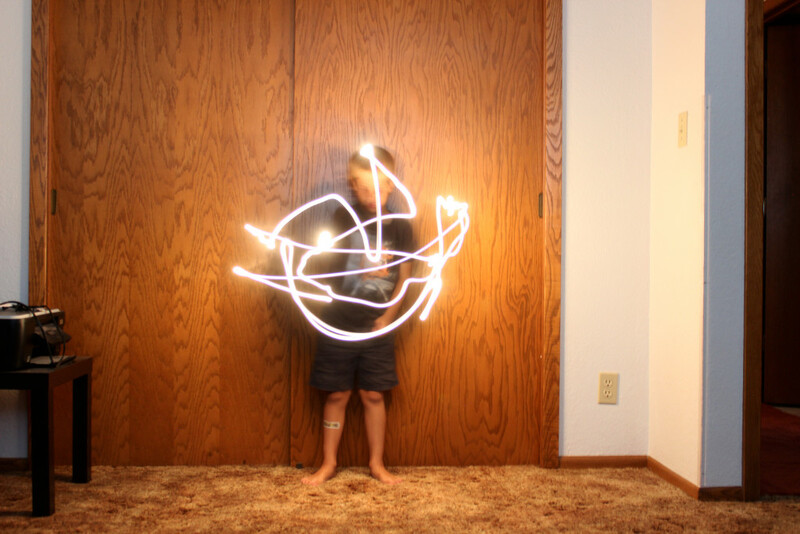 Set the shutter speed to 10 seconds or more, and take the picture while using the flashlight to draw while facing the camera. It took these kids a time or two to get the hang of it, but once they did, their creativity really started to shine (literally)!